New Delhi [India], Mar 4 (ANI): Vicky Kaushal has been roped in to play the part of freedom fighter Udham Singh in film-maker Shoojit Sircar upcoming film. 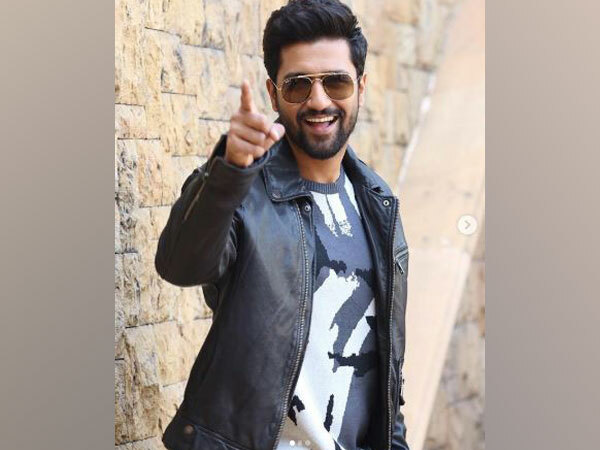 Mumbai (Maharashtra) [India], Feb 17 (ANI): The killing of the Central Reserve Police Force (CRPF) personnel in the Pulwama terror attack feels like a "personal loss", 'Uri' star Vicky Kaushal has said. New Delhi [India], Feb 14 (ANI): Bollywood celebrities took expressed their anger and grieved the horrific terror attack that took place in the Kashmir's Pulwama. New Delhi [India], Jan 29 (ANI): Seems like the Uri effect refuses to die down as the film has received an honour by Amul India which featured Vicky Kaushal and the famous dialogue ‘How’s the Josh?’ from the movie giving it their own ‘butterly’ treatment. Panaji (Goa), [India], Jan 28 (ANI): Goa Chief Minister Manohar Parrikar should come back into hosh (Consciousness) before speaking about josh, said Goa Pradesh Congress Committee (GPCC) president Girish Chodankar. Bengaluru (Karnataka) [India], Jan 27 (ANI): Union Defence Minister Nirmala Sitharaman watched Vicky Kaushal and Yami Gautam-starrer ‘Uri: The Surgical Strike’ at a theatre here on Sunday. New Delhi [India], Jan 21 (ANI): Vicky Kaushal starrer 'Uri: The Surgical Strike' is riding high on the josh and has crossed the 100 crore mark.